Designed by ROGERS PARTNERS Architects+Urban Designers with Nelson Byrd Woltz Landscape Architects, Buckhead Park Over GA400 is a new genre of urban infrastructure; built atop a highway, it strategically connects existing commercial/retail centers, mass-transit hubs, and potential development sites around an environmentally-responsible green core. Slicing through the heart of the Buckhead neighborhood in Atlanta, a busy highway and a commuter rail line have physically fragmented the community for many years. Today, preliminary designs were revealed for a new park that spans the roadway and the railway and will make the area whole again, providing the public with safe, easy, and efficient access to the many amenities in the district. 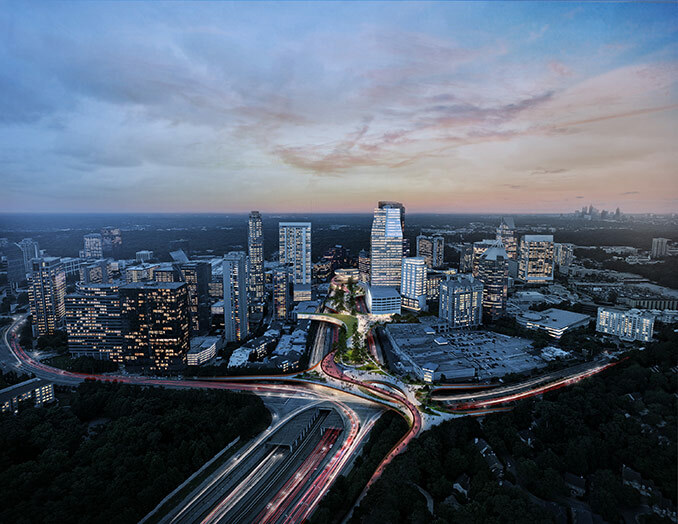 Buckhead Park Over GA400 will raise the profile of Atlanta as a visionary 21st-century city, becoming a signature element of the city and contributing to both the local economy and quality of life much like the famed linear parks of Paris and New York. 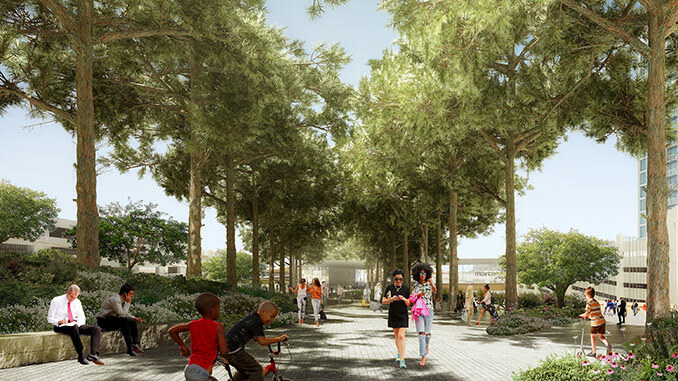 New York City-based ROGERS PARTNERS Architects+Urban Designers (Rogers Partners) is partnering with Nelson Byrd Woltz Landscape Architects (NBW) on the design. 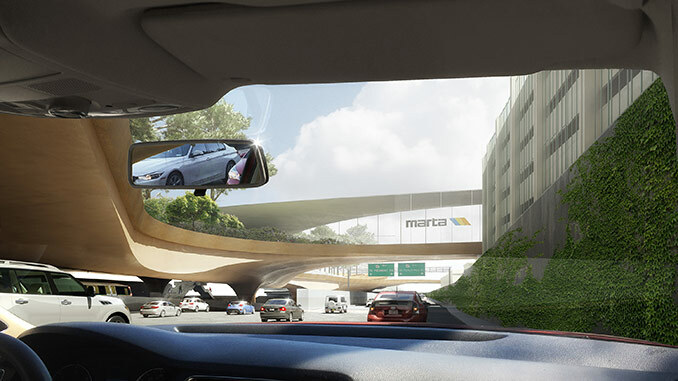 There are three major design features along the 2,400-foot-long elevated traverse, each offering a specialized experience for park visitors. The north end is anchored by a commons area, with an intimate amphitheater accommodating both formal and casual gatherings. 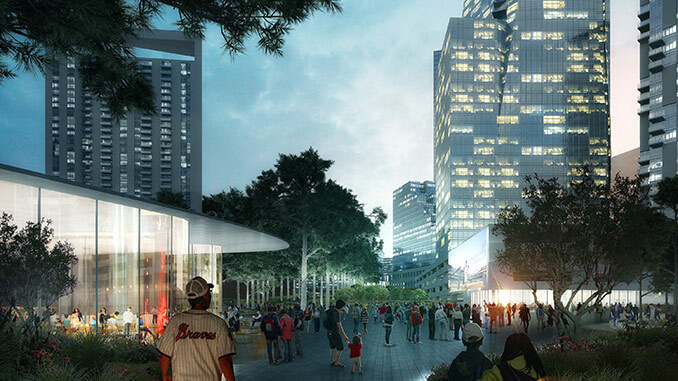 A plaza marks the midpoint of the park, with multiple activities—retail, restaurants, and MARTA rail access—making it the hub of the park. At the southern terminus, a garden setting dominates, providing a green oasis for people to enjoy. 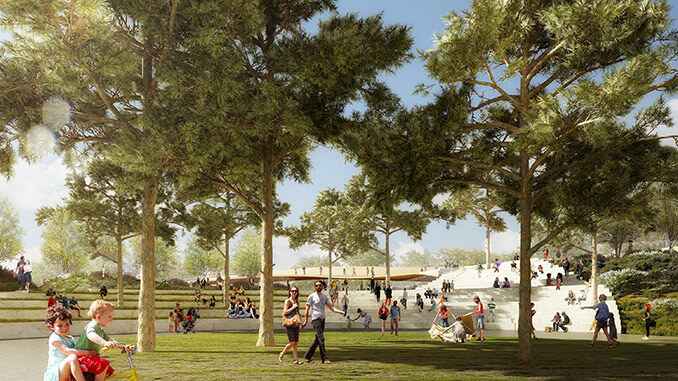 The park is unified by an allée of shade trees, running the full length of the design. 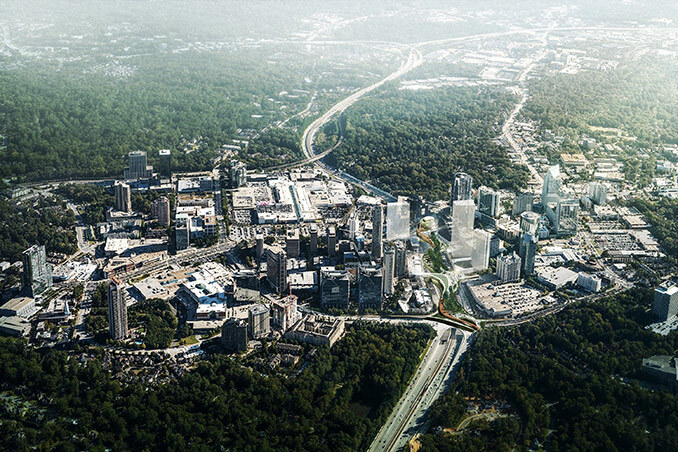 Buckhead Park Over GA400 will contribute to the quality of life in Buckhead in quantifiable ways. Its lush plantings will work to offset the heat-island effect that affects major urban centers. Custom-engineered systems will capture storm-water and contribute to sustainably irrigating the gardens. Using native flora that is adapted to the Atlanta climate ensures that the landscape will require minimal maintenance while providing maximal visual impact. For convenience and cost-savings, walkability ranks high on the list of desired features for city dwellers, augmenting real estate values and enhancing urban living. 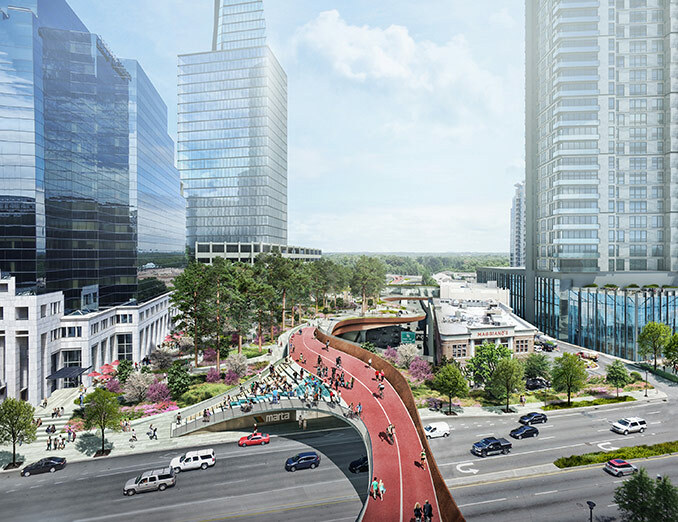 Buckhead Park Over GA400’s extensive pedestrian paths seamlessly connect the surrounding streets and the park, encouraging people to use the park throughout the day as they walk to work, home, and the many cultural attractions of Buckhead. The park will also be a prime destination on Path 400, a regional recreational and commuter bike path and running trail. In October, after reviewing the feedback from the community, the BCID board will meet about moving forward to the next phase of the project: preliminary engineering, engaging key agency partners, and funding strategies. “We are delighted to be working with the BCID to imagine a new interwoven and interlinked public realm and truly feel we have struck the right balance with this initial design to make big change with artfully-considered efforts. 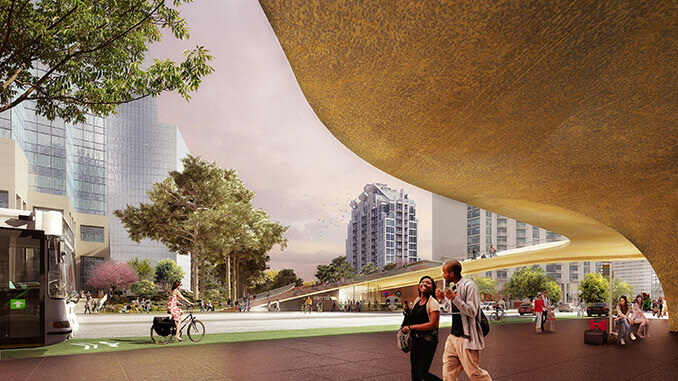 We see Buckhead leading a national trend to create value, enhance quality of life, and improve connectivity by constructing inspired public spaces,” said Robert M. Rogers, FAIA, founding partner of Rogers Partners. The park has the potential to act as a model project for other car-oriented cities, like Dallas and Houston.